The Army Rangers (75th Ranger Regiment), Army Special Forces (Green Berets), 1st Special Forces Operational Detachment - Delta, the Navy SEALs, and DEVGRU (aka Seal Team 6, it stands for Naval Special Warfare Development Group) are all part of US. Special Operations Command (USSOCOM). USSOCOM conducts covert and clandestine missions, such as unconventional warfare, special reconnaissance, anti-terrorism, war on drugs, and other direct action missions. There are other units that fall under Special Operations Command, but the above units are generally considered as the prototypical/standard units. As America's elite operatives, members of these units all receive special training and have access to special equipment and gear that the rest of the military doesn't have access to. USSOCOM generally and unofficially divides its various units into a "Tier 1" group and a "Tier 2" group. The Rangers, Green Berets, and "normal" SEALs fall under Tier 2. These are the more conventional of SOCOM's forces. The SEALs are the Navy's primary Special Operations unit. They are the most "seafaring" of the bunch. SEAL training consists of extensive time in the water, both in the pool and in the ocean near Coronado, CA. Most of the SEALs' missions involve infiltrating and ex-filtrating via the water. They do this either by dropping into the ocean a few miles offshore and swimming to their objective or by using small Zodiac boats to speed from ship to shore. From there they can move inland, accomplish their mission, and then swim back out into the ocean where they can safely and clandestinely be picked up by friendly forces. SEALs are also able to dive underwater and plant explosives on the hulls of enemy ships or set up explosives on water defense systems in anticipation of an amphibious landing. For example, the precursors to the SEALs (called "Frogmen") swam ashore ahead of D-Day and cleared some of the obstacles on the beaches. This does not mean that all SEAL missions involve water or swimming, just that they are experts in that field. SEALs are identifiable on the battlefield by their sand-colored helmets. 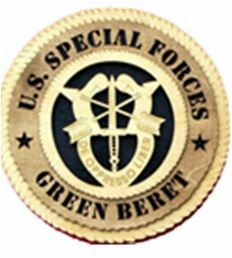 The term Special Forces (SF) refers to the Green Berets. A common mistake people make is calling other groups such as the SEALs "Special Forces". The Rangers and SEALs, are "Special Operations". SF are the Army's primary unconventional warfare and foreign defense experts. They are usually tasked with working closely with foreign military forces in joint operations and in a training role. You might even call them the "teachers" of the Spec. Ops. community since they train a lot of foreign forces. For example, the Green Berets are currently deployed across Northern Africa to help train the Algerian military how to conduct anti-terrorism operations and defeat al-Qaeda's presence in the Sahara. The Green Berets can also work closely with their foreign allies to conduct missions deep in enemy territory. For example, shortly after 9/11, the Green Berets were tasked with going into Afghanistan and developing relationships with various warlords in the hopes of recruiting them and their men in the fight against the Taliban. To blend in, they grew beards and rode on horseback to move from camp to camp. SF are fully capable of performing other types of special operations missions, such as assassinations, hostage rescue, etc..., but their primary task, and what sets them apart, is their ability to work closely with America's military allies to train them and assist them in missions. The Rangers are different from the Special Forces in that they don't go out and work hand in hand with foreign military forces. A common misconception is that anybody who wears the "Ranger" tab on their shoulder is a Ranger. Soldiers can apply for and receive Ranger training at Ranger School, but graduating doesn't mean that the soldier is a Ranger. 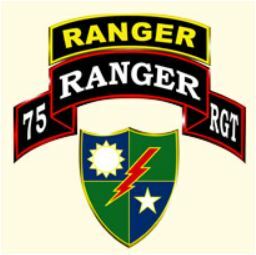 To be fully considered a Ranger and fall under USSOCOM, a soldier has to actually be a member of the 75th Ranger Regiment. The Rangers are what are termed "High Speed, Low Drag" units, meaning that they come in fast, hit the enemy hard, then quickly get out before the enemy can reorganize. Think of the Rangers as the Army's version of the SEALs -- they are all around specialists who are all about killing the enemy. As the Army is a more land-based entity, the Rangers don't have the same intensive water-based training that the SEALs get. The Rangers, however, are experts in navigating land terrain such as mountains, jungles, and dense forests. For example, the USSOCOM mission in Somalia in 1993 (Black Hawk Down incident) was primarily composed of Army Rangers, with a small mix of other units. One last point. The SEALs and Rangers are unique in the SOCOM community in that they accept recruits straight out of basic training. A qualified civilian can enlist in the Army or Navy with a contract that guarantees them a slot in either a Ranger unit (with a high likelhood of a Ranger School slot) or SEAL training, respectively. As soon as that man (women cannot join any of these units due to their intense physical requirements as well as the fact that they frequently operate behind enemy lines) graduates basic training, they will be sent to either BUD/s (SEALs) or to a Ranger unit to prepare for Ranger School. This is unlike the Army Special Forces, who will only accept soldiers with prior service into the Q course. What this means is that the Special Forces are seeking the top 1% of soldiers to train into Green Berets, while the Rangers and SEALs are looking for highly motivated individuals to complete hellish training, regardless of prior service or accomplishments. "Tier 1" refers to those units that are the elite of the elite; those that perform the most sensitive and unconventional of missions. Delta and DEVGRU are considered "Tier 1" units. For example, DEVGRU was chosen to undertake the mission that killed Osama Bin Laden. Delta was tasked with the rescue of Pvt. Jessica Lynch in 2003. Delta Operators are selected from the ranks of the Green Berets and Rangers, while DEVGRU operators are recruited from the SEAL ranks. What this means is that each unit is taking the top 1% of their respective branches and further weaning that number down until they find around the top 10% of that 1%. Truly the Best of the Best. Tier 1 units fall under a special subdivision of USSOCOM known as Joint Special Operations Command (JSOC). Delta and DEVGRU are so elite that they typically don't wear military uniforms at all in order to remain completely anonymous. They are expected to NOT have military haircuts and oftentimes grow mustaches and beards in order to conceal the fact that they are in the military. When they went into Afghanistan post-9/11, they wore traditional Afghan clothes and sported long beards in order to pass unnoticed among the populace. 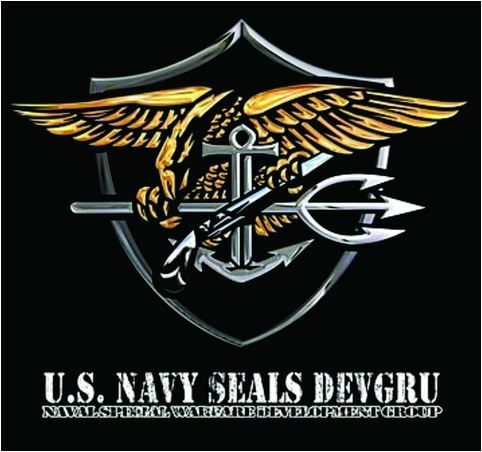 It is useless to talk about Delta and DEVGRU separately because they do the same missions and work very closely together. Their primary mission is to track down, find, and kill or capture High Value Targets (HVTs). They push far ahead of conventional forces in order to conduct deep reconnaissance. For example, before the Battle of Shah-i-Kot, in Afghanistan in early 2002, members of Delta performed extensive reconnaissance, finding the location of hundreds of enemy in the mountains. They then crept into elevated positions in and around the enemy's camp, and marked the locations of enemy defense networks and anti-aircraft weapons. After members of the Army's 10th Mountain battalion assaulted the enemy, Delta operators, remaining concealed, helped call in targets for air assets flying above, helping obliterate the entrenched enemy. Bottom line: Tier 1 are essentially spies/soldiers, discarding their military uniforms and haircuts in order to achieve missions deep behind enemy lines, usually in teams of no more than 3 or 4. However, when they do operate in a more conventional military setting (such as in Somalia in 1993), they do wear military uniforms. In such instances, Delta are recognizable by their black helmets, while DEVGRU will wear the SEALs' standard sand colored helmets. I hope that this serves as a thorough answer to the question at hand. This simple question has a complicated answer. Keep in mind that this is only a synopsis. It is the tip of the iceberg. The CIA's Special Activities Division (SAD) recruits those that excel in Delta or DEVGRU (basically, the top 10% of the top 10% of the top 1%) to perform covert paramilitary operations.